Girls who have curly hair want straight hair and girls with straight hair want curly hair, this trend has been there and will be there. In India particularly girls are crazy about straightening the hair hence the demand for straighteners has skyrocketed. When there is such a splurge of demand, there obviously will be supply and hence so today we have a huge variety of straighteners available in the market. Panasonic EH HW17 Hair Straightener: –This hair straightener from Philips is a compact straightener and also comes with a curler. The temperature capacity is 200° c. The plates have a coating of ceramic which lends a smooth, soft and straight hair. Panasonic offers 2 years warranty and free transit insurance. Philips HP8315 Hair Straightener: – This hair straightener from Philips is different from its other ranges as it has wider plates. It uses ion technology which helps to smooth out the frizzy hair. It has a very good appearance, sleek design, and does not take more than 60 seconds to heat up. The result is a straight hair that is smooth and silky as well. It is very easy to use and does not take much time too. Babyliss ST87E Hair Straightener: -This hair straightener is built and developed mainly for high performance which lends you a perfectly straight and silky smooth hair. The plates in this Babyliss hair styling tool have been coated with Titanium Ceramic. This Titanium Ceramic coating will help the plates to heat up evenly and faster. The coating will also enable the plates to glide through the hair strands quite smoothly without damaging it in any way. The heating time taken is up to 230 C in about 5 seconds. The result of this is so good that it makes the hair glossy, shiny and you will not require using any kind of product to make your hair look better. You can also use this product to curl your hair. 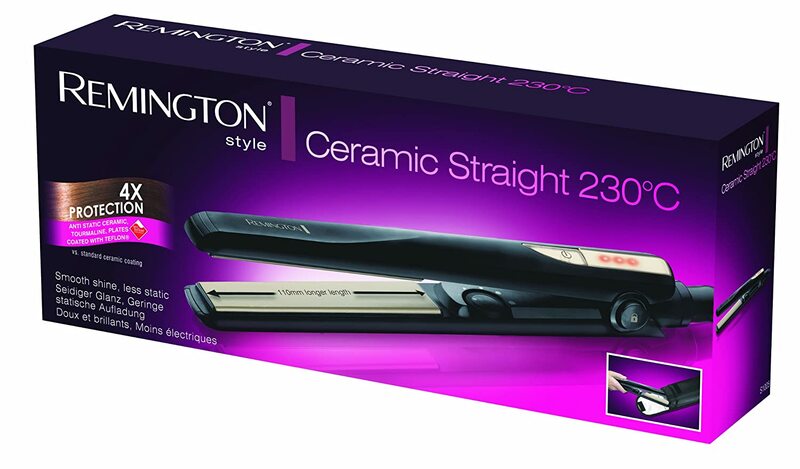 Remington Ceramic Straight 230 Hair Straightener-Model S1005:- This hair straightener from Remington has ceramic coated plates. It has Variable Heat Settings (150-230 ° C) Apart from that it has a LED light indicator, Worldwide Voltage (120-140 volts). 30 sec Heat-up Time. 360° Swivel Cord. This straightener will quickly heat up in just 30 seconds. It leaves the hair super straight, silky and smooth. 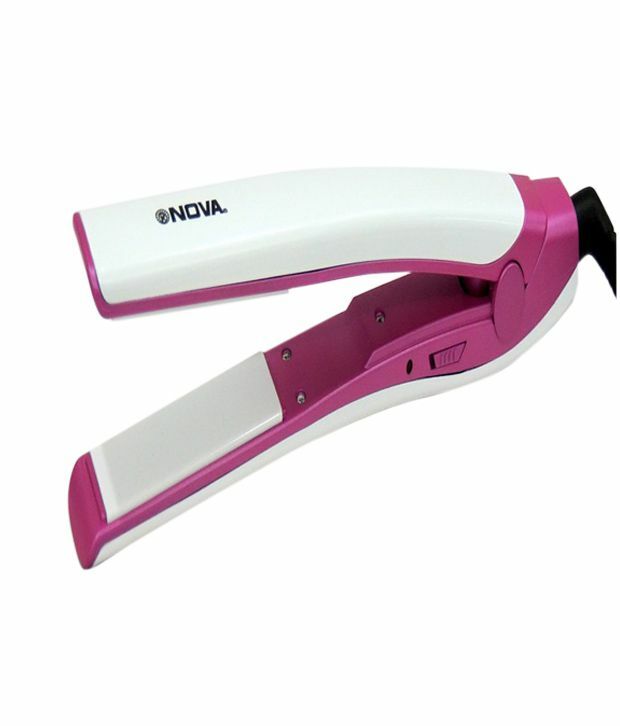 Nova NHS-873 Hair Straightener: – This hair straightener has a triple protection formula that makes the hair extra smooth and shiny. The heat ceramic preserves the natural moisture. It is provided with a temperature control switch for perfect heat emission. It also comes with a 6 months warranty as well as free transit insurance. Inalsa Trendy Hair Straightener: – This hair straightener from Inalsa is for straight and glossy hair. This product is very affordable and of good quality too. It incorporates ceramic technology in order to deliver optimum results in less time. It is a very stylish product and lightweight which makes it very travel friendly. Thanks to the ceramic coated plates, the heat is evenly distributed on the hair. It comes with one year India warranty and free transit insurance. 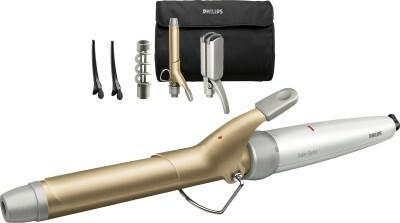 Philips HP4696/22 6 in 1 Hair Styler: – This is Philips salon multistylist hair straightener. This one is also preferred by many as it comes with six attachments that will not only help you to straighten your hair but also create large curls, crimps, waves etc. It is a very easy to use and is damage free too. It has an insulating material in order to keep it cool. It makes your hair straight, silky and shiny.